SELLING YOUR HOME IS AN ART! RANCHO SANTA FE As a Concierge Real Estate Service, Becque’ and Gail take pride in their customers’ satisfaction and in providing a “hands on” luxury service approach. Putting to use the experience of over 800 career sales, they serve their elite clients with a unique and powerful marketing strategy. Their exclusive practice markets a limited number of homes at any one time giving homeowners the attention to detail they know you desire. SPACIOUS CONDO MISSION HILLS Spacious condo close to freeway entrance, fine dining, Downtown San Diego with all of its activities and workplaces. Two bedrooms both ensuite. Two car attached garage with direct access into home. Separate utility room/office combo. 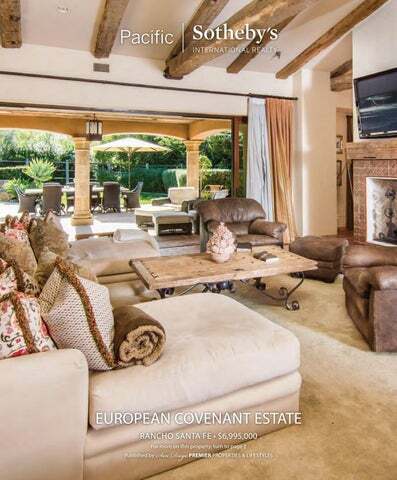 $425,000 Experienced at handling complex estate-owned transactions, bequeathed properties, multiple sellers, negotiations involving attorneys and financial advisors. Carleton Street second-most visited National Park, and located within the monument and listed on the National Register of Historical Places is the Old Point Loma Lighthouse. One of Point Lomaâ&#x20AC;&#x2122;s most treasured assets is the San Diego Yacht Club (SDYC) which was founded in 1886 and ranked as one of the top 4 yacht clubs in the United States. Its youth sailing program is globally recognized and has produced some of the finest sailors in the world. The club has a very competitive racing fleet in all classes from Sabots to Etchels, has produced several Olympians and was the home yacht club of Americas Cup winner, Dennis Conner. 2820 Carleton St. 33 Point Loma Village is the heart of the peninsula where residents and visitorâ&#x20AC;&#x2122;s gather for entertainment and shopping. Popular attraction spots are found at Liberty Station and Shelter Island. Point Loma has several public, charter, and private schools as well as Point Loma Nazarene University, which is Christian liberal arts university whose ocean-view campus was once the home of the Theosophical Society. Point Loma residents are dedicated to building a strong community, making memories and enjoying the simpler things in life together. 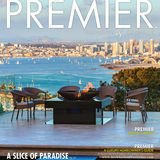 So whether you are looking to watch an amazing sunset, recline on a blanket for a picnic with friends, feel the prevailing sea-breeze while sailing into the night or walk through Liberty Station with a fresh cup of coďŹ&#x20AC;ee, there is no denying that living and enjoying Point Loma can only enhance your life and those around you.